(Bass Builders). 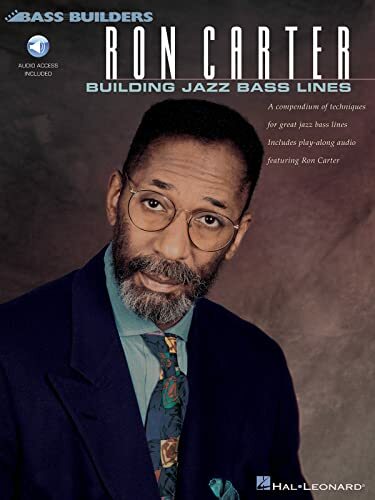 In this book/online audio access pack, bass legend Ron Carter illustrates step by step the basic concepts of creating bass lines; constructing lines using non-harmonic tones and diverse rhythms; playing in fast tempos; and developing tone and pitch. Includes online audio access using the unique code printed in the book with an all-star rhythm section and isolated bass parts, so players can listen to Ron play the sample written lines, practice them with the audio tracks, then create their own lines with the guitar, piano and drums backing them up. In this book, bass master Ron Carter illustrates the basic concepts of creating bass lines, while you play along to the online audio tracks with an all star rhythm section.